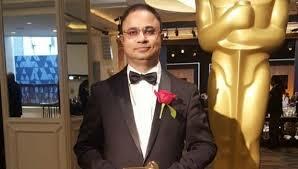 VikasSathaye, has been honoured with the Scientific and Engineering Academy Award at the Oscars Scientific and Technical Awards 2018 at Beverly Hills in Los Angeles, California.The award was given for his contribution towards conceptualisation, designing, engineering, and the implementation of the 'Shotover K1 Camera System' during his stint at Shotover Camera Systems in Queenstown, NewZealand. 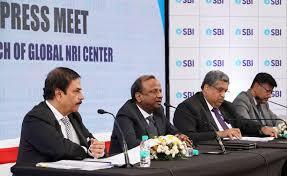 State Bank of India has launched its Global NRI Centre (GNC) in Kochi, a one-stop customer service point for all NRI banking-related activities. To further enhance the service experience for NRIs, the bank also launched other services such as wealth management, SBI Intelligent Assist, free post-box, and remittance facility for US-based customers. 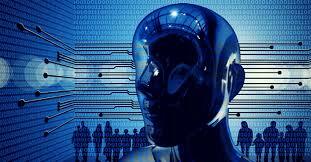 The State government will be setting up an institute for artificial intelligence (AI) inMumbai.The meeting between Canadian Minister of International Relations, Christine St-Pierre, and Mr. Fadnavis was held on AI cooperation in the industrial and service sectors. Botanical Survey of India and Natural History Museum, UK have signed a Memorandum of Understanding for cooperation in the field of genetic/taxonomic studies, research and training, conservation in India, including species and habitat conservation assessments. The MoU will pave the way for BSI staff to work in Natural History Museum, London and vice-versa and they will share fairly and equitably the benefits that may arise from the collection, study and conservation of the plant materials .NHM will help BSI in capacity building in areas of systematic botany and long-term conservation of plant genetic resources in India. The Ministry of Agriculture & Farmers Welfare (MoA&FW) is organizing a National Conference under the title of “Agriculture 2022 – Doubling Farmers’ Income” at National Agriculture Science Complex (NASC), Pusa, New Delhi. It is a two days conference scheduled on 19th and 20th February, 2018. The main aim of the conference is to build a consensus around appropriate recommendations that will help in shaping and sharpening the vision of the Government on Doubling Farmers’ Income by 2022 into actionable points.